Last month, I told you a little about our recent Caribbean cruise, and the adventure we had exploring the Mayan ruins of Cozumel (read about it here if you missed it). This month, I thought I’d share about the other port we visited—Georgetown, Grand Cayman. The first thing I noticed about Grand Cayman as we rode the tender over from the cruise ship was the festive colors of the buildings that lined the waterfront. It instantly had my attention, and I couldn’t wait to explore. The shore excursion we opted for was a 1-hour trolley ride which gave some of the history and points of interest about the island. So here’s a little about what we learned. The Caymans are comprised of three islands—Grand Cayman, Little Cayman, and Cayman Brac. The islands are the peaks of several underwater mountains in the Cayman Ridge. There is little, if any, proof of indigenous people on the islands, and they were mainly uninhabited prior to the 17th Century. At that time, a variety of folks made their way to the island chain, including pirates, shipwreck survivors, refugees from the Spanish Inquisition, and deserters from Oliver Cromwell’s army in Jamaica. The first permanent resident of the islands, Isaac Bodden, was born on Grand Cayman around 1661. He’s suspected to be the grandson of one of Cromwell’s army who was there at the taking of Jamaica in 1655. To this day, the Bodden Family still resides on the island. We were told that this traditional Caymanian style home belongs to the Bodden family today. The architecture of the islands seems to be split fairly evenly between the traditional Caymanian homes and newer styles. The second home shown here is owned by the family who opened the largest hardware store chain on the island. hardware store chain on the Cayman Islands. In the 1670 Treaty of Madrid, England took formal control of both Jamaica and The Cayman Islands, and both remain territories of Britain today. A permanent settlement began there somewhere in the 1730’s, and almost immediately, slavery was started. Africans were captured and brought to the islands, living as slaves until 1833, when slavery was abolished throughout Britain and all of its territories. 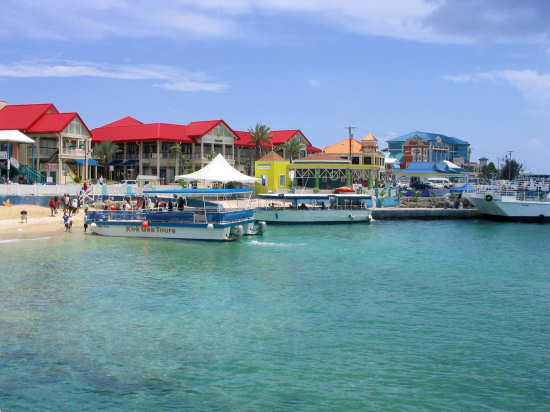 Today, the Cayman Islands are a tourist mecca for the cruise lines and independent travelers. One of the wonderful things to do on Grand Cayman is to visit Stingray City, where you can interact with tons of Southern Stingrays in their natural habitat. They will swim leisurely around you while you pet them or feed them. Another fun outing in Grand Cayman is the Cayman Turtle Farm, where you can see not only turtles, but other sea life and birds up close. Not only are the Cayman Islands a great place to visit, but they are also a global hotspot for international banking, due to the fact the Caymans are tax-free. In our short time there, we stopped at a coffee shop to rest and overheard a few business deals being discussed at the surrounding tables. The tax- and duty-free status in the Cayman Islands also means great shopping for higher-ticket items like jewelry. The jewelry store owners are prepared to wheel and deal to make a sale, knocking hundreds, if not thousands, off the list prices of expensive pieces. Of course, the wildlife was interesting as always. Right in the middle of the business district, roosters and chickens made themselves at home. And just like in Cozumel, we saw any number of iguanas. One tried to chase the rooster pictured above. Another sat out in the open on a driveway of one of the homes we passed. Most took refuge high within the branches of tall trees. 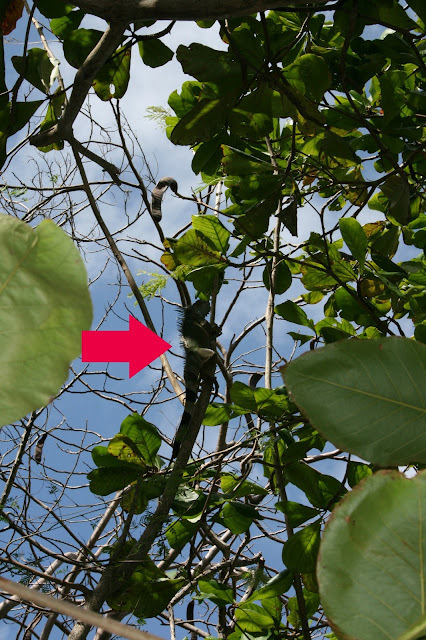 An iguana sunning himself high in a tree. All in all, Grand Cayman was a lovely place to visit, and I would’ve loved to have more time to spend there. But for the few hours we had, we enjoyed the hospitality of the locals and learning a bit about their home. It’s your turn. Have you visited The Cayman Islands? If so, what did you enjoy about your visit? If not, are you interested in visiting? Where else have you visited that impressed you? Looks like a lovely place to visit! No taxes, tropical location, what's not to love!?! 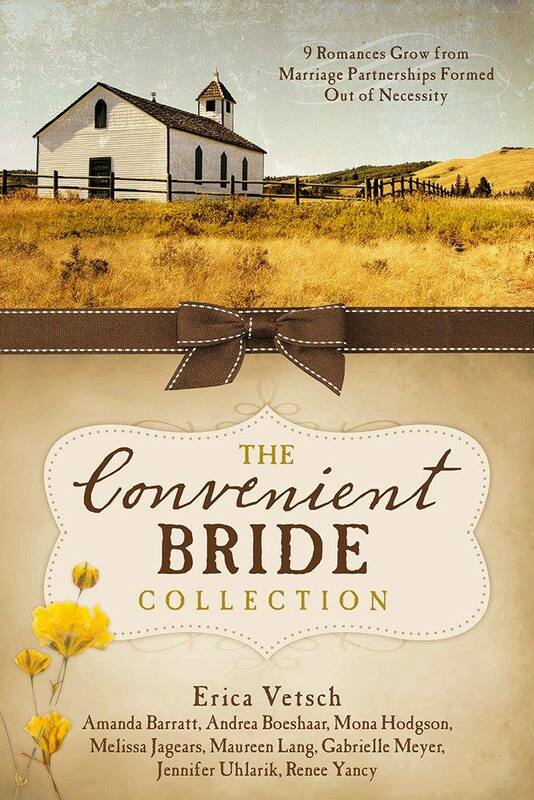 I'm looking forward to reading the Convenient Bride collection. 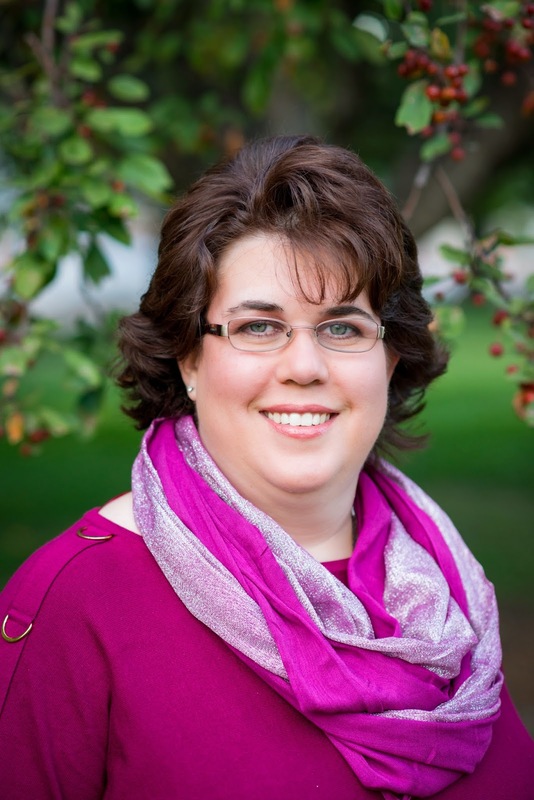 Thank you so much for stopping by, Beth Erin! The islands WERE beautiful and we had a great time exploring. Hope you'll get a chance to explore one day yourself. And--hope you'll enjoy The Convenient Bride Collection!